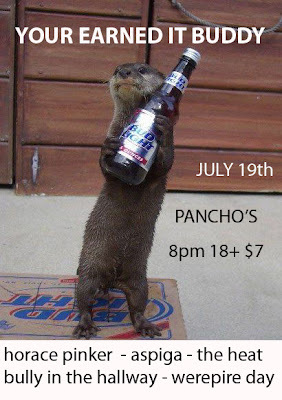 BULLY IN THE HALLWAY: Pancho's! July 19th! While you are at it, why not take a listen to "If I can't have my cake and eat it too...then I'll have pie"